News from ActiveTravels: What's New for 2015? holiday cards with photos from trips we helped design! Nothing makes us happier than seeing the smiles of our clients as they pose in front of a castle in Germany or hanging off a cable car in San Francisco. 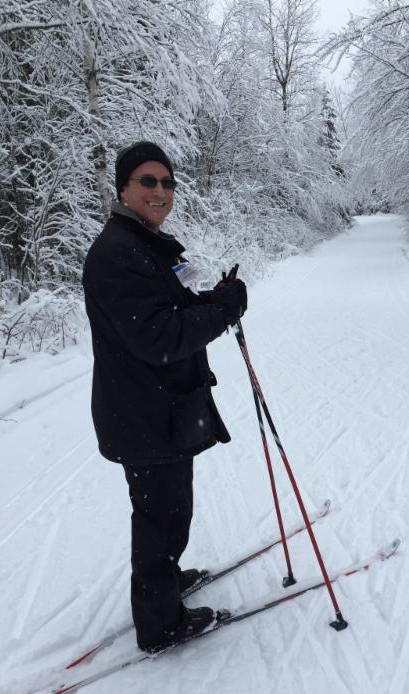 Feel free to post photos to our ActiveTravels Facebook page as well after you come home so we can all soak up some of the fun you had on your vacation! With the economy back in full swing, hotel and cruise development is working at a breakneck pace this year. This is the reason why we've decided to dedicate this entire newsletter to what's new in the world of the travel. We are straying from our traditional format and offering you our curated collection for 2015. Read on for ideas for new hotels (lots of them! ), family-friendly travel, cruise ship itineraries, romantic escapes, and several countries to visit this year before they get discovered. Contact us and we can get you started! Happy New Year and Happy Travels! 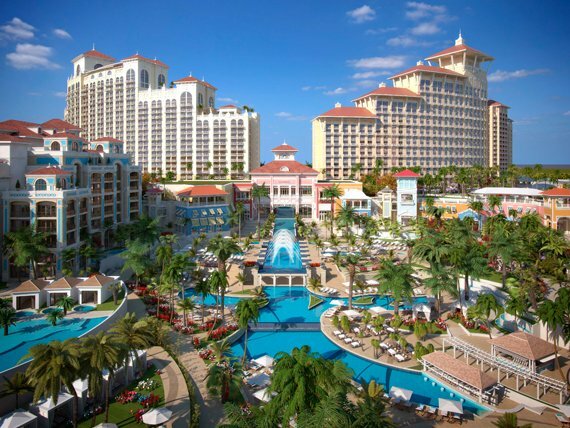 Making its debut last month, Baha Mar is set on 3,000 feet of white sand beach, less than a 15-minute drive from Nassau's international airport. The massive, $3.5 billion resort development is the largest of its kind in the Caribbean since the debut of the Atlantis Resort. The property features five hotels-a 700-room Grand Hyatt, a 300-room Mondrian, the 200-room Rosewood Hotels, a 694-room Meliá, and the 1000-room Baha Mar Casino & Hotel. The latter hotel includes the largest casino in the Caribbean. Also expect an 18-hole Jack Nicklaus designed golf course, a racquet club with clay, grass and hard tennis courts, 14 pools, 40 restaurants and nightclubs, a 30,000 square-foot spa, and a 2,000-seat performing arts center. We told you it was massive! Those of you who have stayed at one of the Amanresorts around the globe, like Amandari in Bali or Amanjena in Marrakesh know the level of comfort and service that comes with this ultra-sybaritic brand. 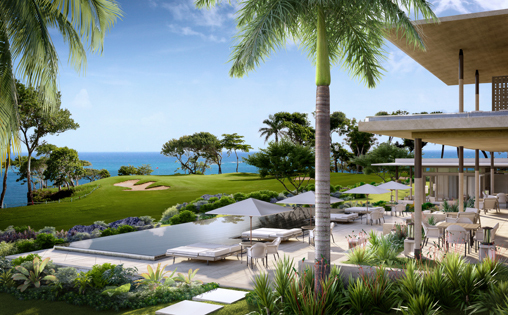 Later this year, Aman Villas will become the second Caribbean outpost from Amanresorts and the first one to have a golf course, the Robert Trent Jones-designed Playa Grande Club. The resort is located on DR's North Shore, near Samaná Peninsula. It's the first phase of a development that aims to introduce some 400 residential villas, along with equestrian facilities, all on seven miles of continuous Atlantic seacoast. This past July, we had the pleasure of staying at the JW Marriott Ihilani Resort with the family on Oahu's blossoming leeward coast. Part of the umbrella Ko Olina Resort (which also includes Disney's Aulani and Marriott's Ko Olina Beach Club), this is the quiet side of the island. We snorkeled with wild dolphins straight from the Ko Olina marina, saw the ring of Saturn one night stargazing through a powerful telescope, listened to live Hawaiian ukulele music on the beach, and dined at some of the finest restaurants on the island including Roy Yamaguchi and Peter Merriman's Ko Olina outposts. 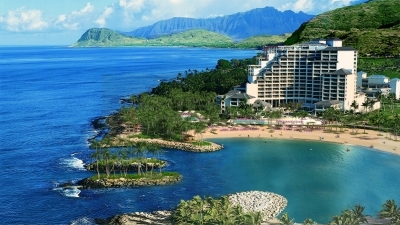 The JW Marriott Ihilani Resort will close on January 10 for an approximate 10-month, $500 million renovation and will reopen September 2015 as the Four Seasons Resort Oahu at Ko Olina. The Four Seasons has a lot to work with including spacious rooms with oversized balconies that that offer expansive views of the ocean at night. We left the screen door open to hear the waves rolling ashore. The beachfront locale is also home to a stingray pool and a separate building that houses a large spa and tennis courts. We're excited to see what the Four Seasons does with the property. When it comes to glamorous hotel brands arriving on your doorstep, no city has experienced more growth in this past year than Istanbul. In September, Raffles opened in the shimmering Zorlu Center in the heart of the business district. In 2015, the St. Regis will open in the upscale Nisantasi neighborhood. The Morgans Hotel Group, hot off the opening of 10 Karaköy, will debut Mondrian Istanbul in the Old City. Expect 128 rooms and suites and a spa, renovated from an existing historic Turkish bath. The Mondrian will be centrally located, close to the Blue Mosque, Topkapi Palace, and Grand Bazaar. In March, I'll be headed to Tanzania to not only visit Serengeti National Park and Ngorongoro Crater, but to see the latest conservation work at reserves like Ruaha and Selous. Recent efforts in these regions have helped to secure crucial animal corridors, curb poaching, and convert former hunting outposts into game-rich conservation areas. Along with the increased number of wildlife come new boutique safari camps, like Mwiba Lodge, which travelers are already comparing to Singita Grumeti, often ranked the number one resort in the world by Travel & Leisure. I'll be reviewing more than a dozen properties in Tanzania and will report my findings in the April newsletter. And closer to home, Sir Richard Branson is no stranger to the hotel world, having owned seven luxurious boutique properties under the name Virgin Limited Edition. They include Necker Island in the British Virgin Islands; a private game resort in South Africa, Ulusaba; and Kasbah Tamadot, located in the Atlas Mountains of Morocco. Now Branson is putting the Virgin name on his first American hotel, Virgin Hotels Chicago. 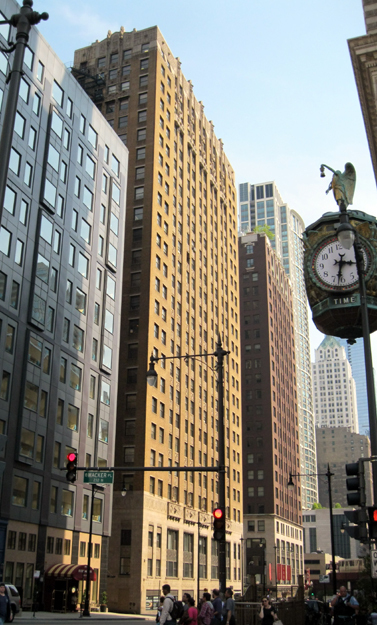 Set to debut this month in the Loop in a converted 1928 bank building, the hotel will feature 250 rooms, an American diner, and cocktails on the 26th floor roof. With new non-stops to St. Lucia from Boston, the timing of this family friendly resort re-opening could not be better. People may think this resort has a split personality as it caters to both an adults-only crowd as well as to families. The adults-only side of the resort is called Harmony, featuring a newly refurbished spa, pool and Jacuzzi. 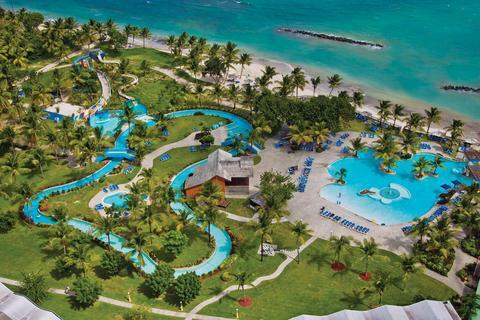 The family friendly side, called Splash, is aptly named as it offers a water park and petting zoo, a paintball zone, and a day care facility. The resort is located on the southern part of the island, close to the airport and to spectacular scenery of the Pitons and Sulfur Springs, the only drive-in volcano in the world. G Adventures has been around a long time, over 20 years. 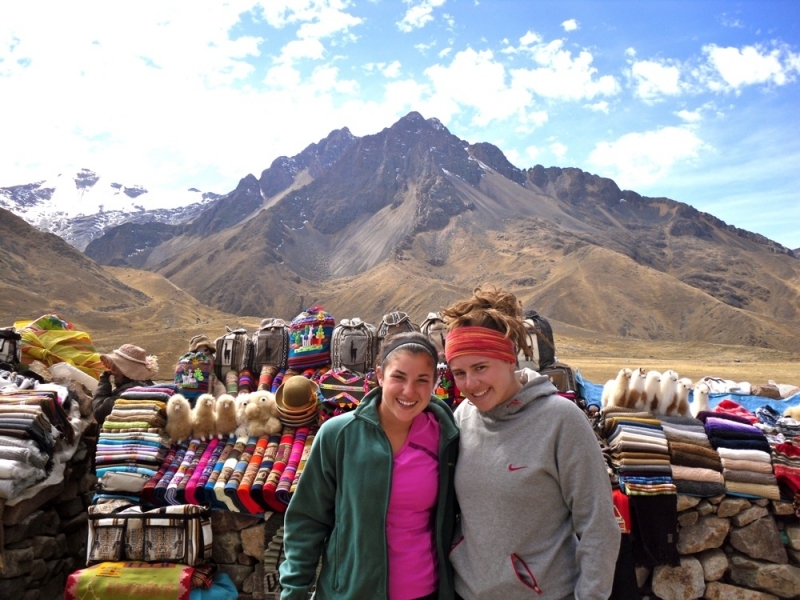 They have been offering excellent and affordable organized adventure travel trips for small groups, usually college-age or travelers in their 20s and 30s. Family trips started to appear on their roster and now they have a new category to consider: family trips with teenagers. Some of us know what it is like to travel with a teenager. They don't want to be seen with you because "it's sooo awkward!" Well, this could be the solution! G Adventures has these new trips to choose from for families with kids over 12: Amazon to the Andes in Peru; Hanoi to Ho Chi Minh City in Vietnam; Morocco Kasbahs & Desert; and Costa Rica Quest. Remember the Lego Movie last year? 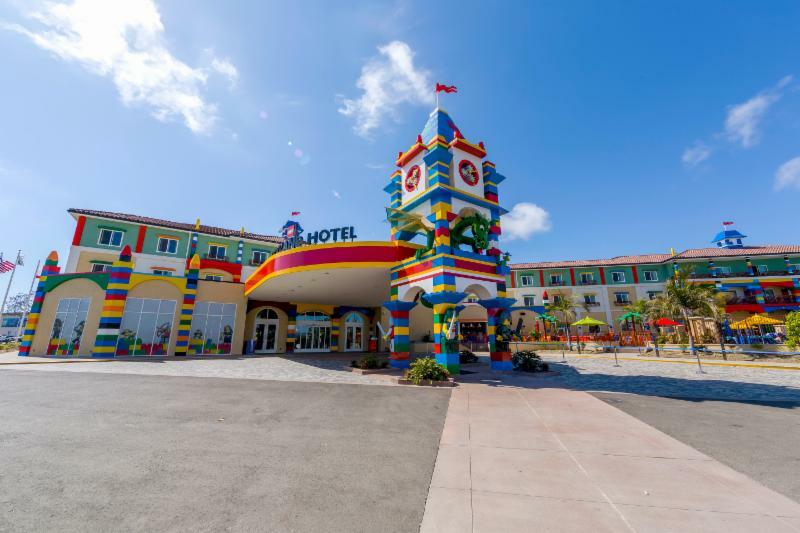 Well, the huge popularity of that film combined with the perennial love of this classic building toy and Florida's great family theme park, Legoland, based one hour from Orlando, has resulted in the launch of a new hotel. Legoland Florida Resort will open in the summer of 2015 and it's already accepting bookings through January 2016. An awesome perk of staying at the resort will be early access to select rides and attractions before the park opens. Fun features at the hotel are bunk beds and pull out trundle beds as well as themed lodgings with Lego décor and models scattered throughout the room. Disney knows how to take full advantage of its mega-hit movie, Frozen. Design an 8-day/7-night land and sea jaunt to the country that inspired the film. The new itinerary to Norway starts in Bergen, which served as the inspiration for the kingdom of Arendelle, home to Anna and her sister Elsa in Frozen. Then you board a cruise to see Western Norway's best known fjords, including Geirangerfjord and Naeroyfjord-both UNESCO World Heritage sites. 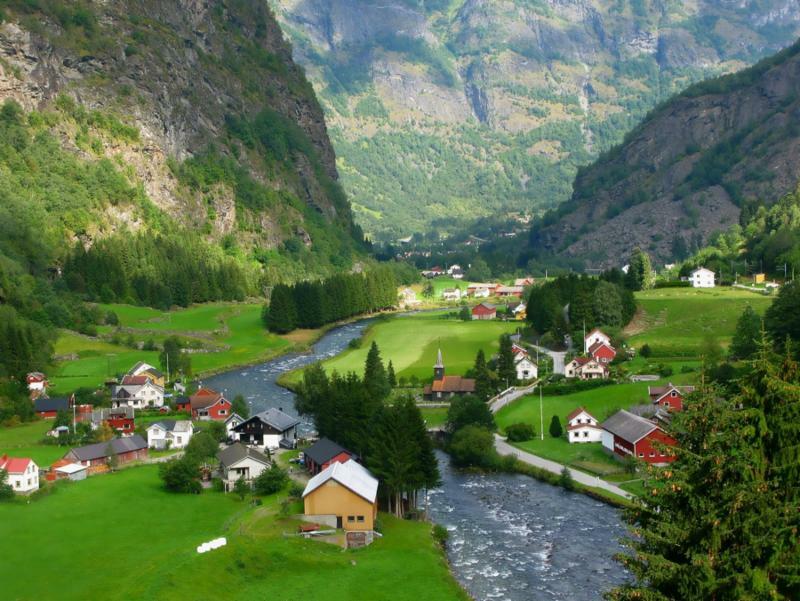 Other activities include a float on the glacial blue waters of Lake Loen to try trout fishing, lessons in Norwegian folk dancing, and a close-up look of those wooden masterpieces, the stave churches. We usually think of the American south when we think of paddlewheelers, those ships that slowly cruise down the Mississippi while passengers sip on mint juleps. 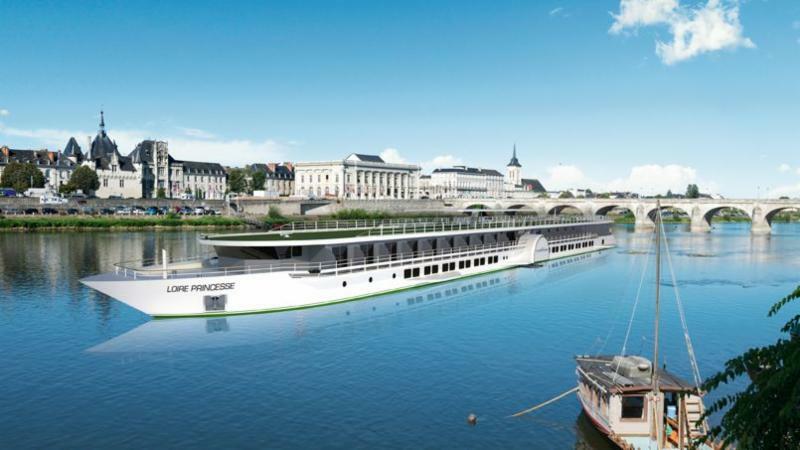 Now, the well-known French river-cruise company, CroisiEurope, is launching a different version of the paddlewheeler. This will be a smaller European version, equipped for only 96 passengers, and will navigate the Loire River beginning in April. It is considered a "Green Ship," as it is designed with sustainable practices and with respect to the environment in mind. Imagine sipping those French wines while gliding down the Loire viewing age-old castles. For another kind of small ship experience, try Avalon Waterways new ships, the Avalon Siem Reap cruising the Mekong River between Cambodia and Vietnam and the Avalon Myanmar, which will sail through Myanmar along the Irrawaddy. These are really intimate ships with just 36 passengers on board, allowing for more elbow-room not only in the public spaces but also in their suites. Avalon is known for their Suite Ships that operate along European rivers. Now they are bringing these highly popular ship designs to these Asian destinations. The Avalon Siem Reap will start service this month, while the Avalon Myanmar will launch in September. In the second half of 2015, Sandals will debut five newly constructed 1,400 square-foot villas with a glass floor(! ), king size bed, living and bedroom areas, indoor and outdoor showers, an outdoor dining space, and a built-in hammock over the water. 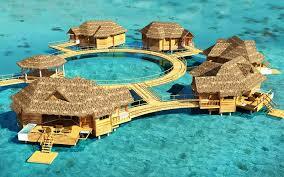 These will be new additions to their property, Sandals Royal Caribbean Resort & Private Island in Montego Bay. Need I say more? 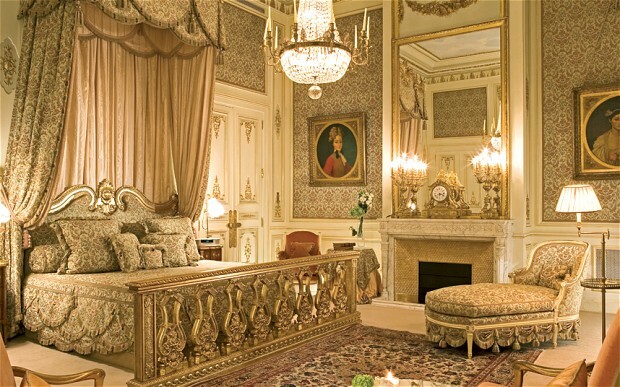 After a three-year facelift to this venerable grand dame, the Ritz plans to open in September. Expect a totally revamped spa and a new courtyard restaurant with retractable roof. The 143 wood-paneled rooms and suites have been redesigned by Parisian Thierry W. Despont, who's reinstalling the Ritz's priceless collection of furniture and art in a new pastel-hued motif. Anybody celebrating a special wedding anniversary? 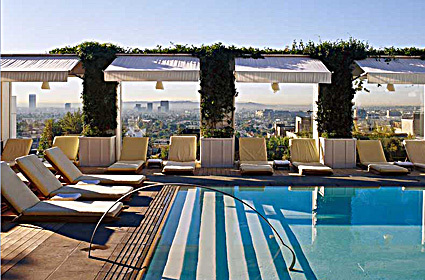 A stay here will win you big points with your spouse! Can't get enough of that conniving Mr. Bates? Or perhaps you feel like being served by the likes of Carson, the butler. Downton Abbey lovers will be happy to know that on Valentine's Day, the London Lodge will be opening on the grounds of Highclere Castle, the country estate where Downton Abbey is filmed. The estate, built in 1793 and home to the Earl and Countess of Carnarvon, has been open to visitors for some time. However, this will mark the first time guests can stay overnight. Violet Crawley, played by Maggie Smith, would be outraged to know that rooms include television and WiFi. 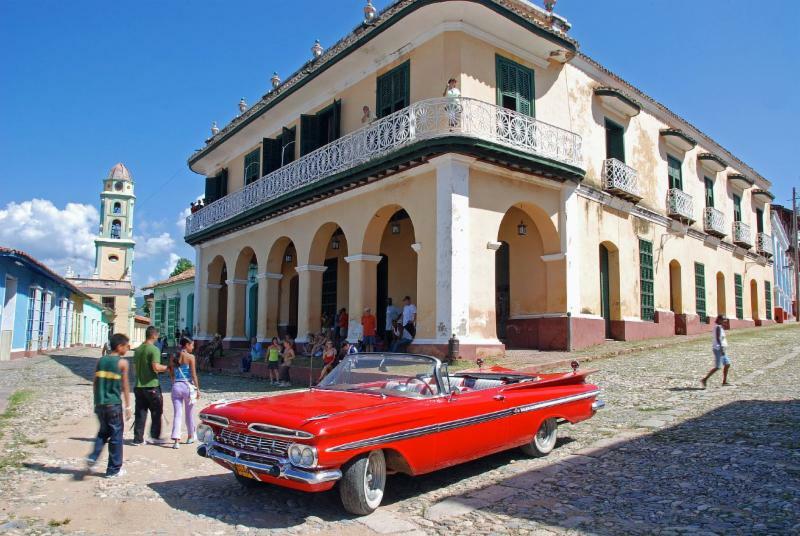 With diplomatic relations between Cuba and the US being restored, travel restrictions to Cuba will very likely ease. This means that we will see tremendous growth over the coming years, cruise ships will begin to make their stops here, big-name hotels will start building and all this commercialism will change Cuba enormously. Get there before! Myanmar has been opening up to tourism slowly over the past few years. Politically, the country has been making comprehensive reforms and they've also opened 22 international air routes to its country bringing this part of Southeast Asia within reach. Come here to experience the "Big 4": the cities of Yangon and Mandalay with their welcoming people and diverse cuisine that blends Chinese, Indian and Burmese influences; the ancient ruins of Bagan; and the beautiful lake scenery at Inle Lake, in the magnificent highlands. 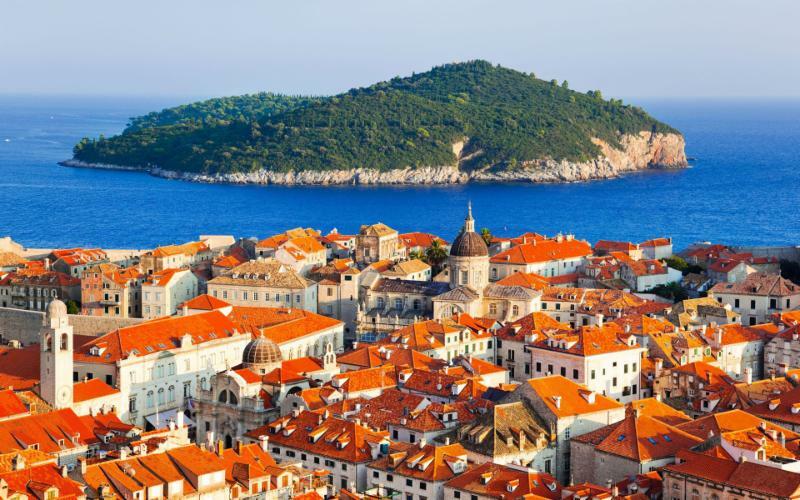 We are happily visiting Croatia in 2015 with one of our favorite on-site travel destination companies, Inspiration Croatia. They have organized wonderful customized trips for our members. Now, we get the chance to see the highlights of this spectacular off-the-beaten-track European destination. We'll come back with an intimate knowledge of the region and it's lodgings and activities. Look for details in our May Newsletter!